Cassandra is one of our top Balayge highlight specialists. Cassandra has been in the hair styling industry for over 7 years. Her journey began in 2008, she fell in love with the world of fashion, hair makeovers and colour. She progressed quickly, learning the tips of the trade by working next to some of the best stylists in the GTA. 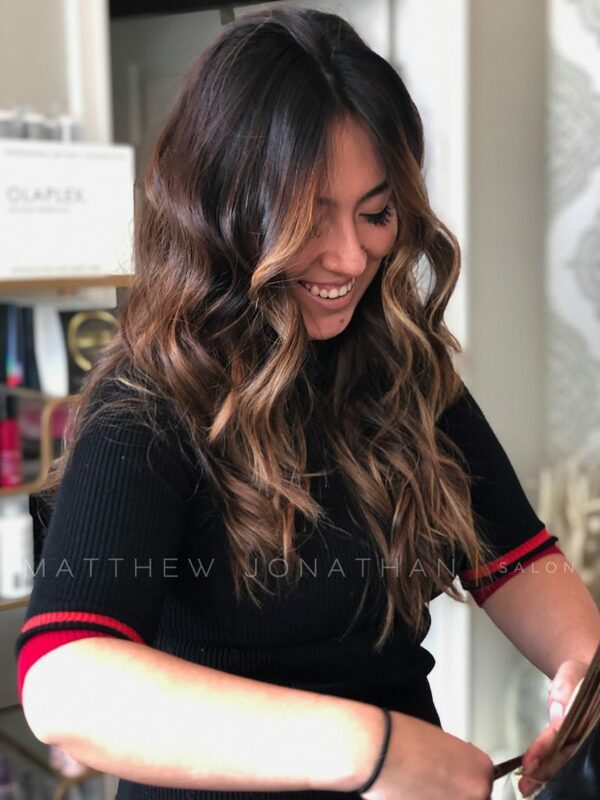 Cassandra has worked with Matthew for over two years now and has been thoroughly equipped with the techniques to produce outstanding Balayage toning, highlights and solid colour. It’s clear that her keen sense of style and trend awareness enables her to perform fantastic transformations for her clients. Apart from cutting and colouring beautifully, Cassandra is a master at curling and styling hair for a sleek and silky finish. Cassandra’s favourite pastime: Cooking and hosting dinner parties.